March 16, 2014 - Make sure you like EcoJoes on Facebook to stay updated on green ways to save money and help the environment. Just click the "like" button below. Muchas gracias! Sometimes as I’m flexing in the mirror at the gym, desperately bulging my veins out of my “swole” arms and hoping other people are watching admiringly to feed my insecure ego, I fight back tears as a sudden urge for cookies flashes through my mind. How can I get healthy, cheap, eco-friendly, organic cookies? 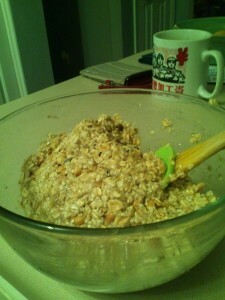 Lo, late last year I found out about this crazy easy, healthy, quick recipe for banana oat cookies. “Egad”, I thought, “I have to share this recipe with todo el mundo.” And that’s just what I’ll do, without further ado. 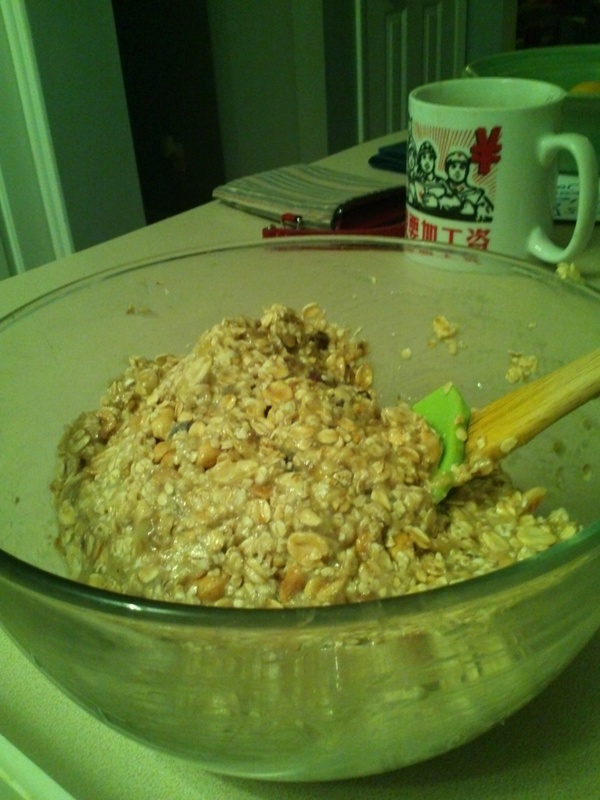 Now, don’t be confused… in this picture, I used a double recipe (4 bananas and 2 cups o’ oats). This is a great way to use old, ripe bananas, or frozen bananas. If using frozen bananas, make sure to peel the bananas before freezing them! Hey, Joe–Re: recipe on EcoJoes: there is NO NEED to peel bananas before freezing!!!! In fact, freezing them in their little “nature-jackets” protects them without one having to use a PLASTIC BAG. Just remove from freezer, microwave about 50 sec., slit them from gullet to “other end,” and squeeze out the contents. 3) Pop that bad boy into an oven and cook at 350° F for 12-15 minutes. That’s it, you’re done! Now you can enjoy some of the easiest to make, healthiest cookies ever, with that distinctive banana tang and oat goodness. Posted in food, health	on Sunday, March 16th, 2014 at 2:51 PM. Good stuff. Should help me to get over my recent Doritos addiction (they are jawsome). To ease the transition, you can sprinkle the Dorito dust on top of the banana balls. 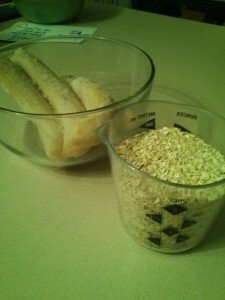 Oats are a rich wellspring of fiber, both solvent and insoluble, which helps in directing defecations and consequently counteracts clogging.